Are You Eating the Wrong Fats for Fertility? Things have changed quite a bit since the 1980s when women followed extremely low fat diets to lose weight and improve health. Thanks to medical research and an influx of women following Mediterranean diets rich in omega fatty acids from olives, nuts and fat-rich fish, low fat diets are slowly fading away. But, that same medical research opened our eyes as women to the effects of bad fats on fertility. Saturated fats have been shown to reduce the number of mature eggs (oocytes) for harvesting before IVF treatment. The study was completed by the Harvard School of Public Health. There has been plenty of research into the effects of sat fat on overall health, particularly heart health. News sources, doctors and nutrition experts all agree – leave the saturated fat behind and stick with healthy fats like polyunsaturated and monounsaturated fats. We know that bad fats affect a wide range of body processes, but this is the first study to look at the impact of dietary choices on IVF. Women who ate the most saturated fat in the study simply produced less mature eggs for harvesting before IVF treatment. Fewer eggs could mean a lower chance of success and, in some cases, the end to a long fertility battle. I can’t help but wonder how many women have lost out on the chance of being a mom just because they chose the wrong type of diet. The Food and Drug Administration requires food companies to list saturated fat on the label. 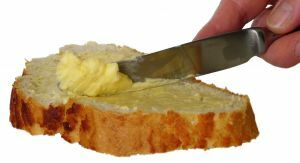 Start reading labels and choose foods with as little saturated fat as possible. Ideally you would eat a diet with NO saturated fat, but that can be extremely difficult unless you follow a whole food diet. You may also want to switch eating out with cooking at home or packing lunch for work. Restaurants don’t typically list nutritional information on the menu so you have no idea how much saturated fat you are consuming.